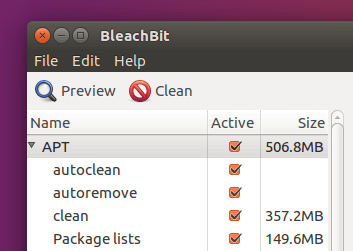 BleachBit is a free and open source system cleaner utility available for Linux and Windows with source code licensed under the terms of GPLv3. This utility does a really nice job of deleting unwanted junk file created by various applications. The latest stable version 1.12 was released on July 1st, 2016 which includes support for Ubuntu 16.04 and Fedora 24. Once the download is complete, open up a terminal window and navigate to the download destination folder and run the following command to install BleachBit. The gdebi tool can automatically handle dependencies for you. You can also use wild card (*) in the deb file name instead of typing the exact file name. Then launch BleachBit from Unity Dash. As you can see, you can run it as a normal user or as administrator. Upon first launch, you will be presented by the preferences window. You can safely click the close button and leave these to the default option. You can also access this window through Edit > Preferences. The first section is for cleaning APT with four items you can choose from. This section requires root privileges, i.e, run BleachBit as administrator. autoremove: uninstall packages that are installed along other packages as required dependency but now since other packages are removed, they are not useful on your system anymore. clean: clean all deb files under /var/cache/apt/archive/ directory, also know as deb cache. These files are downloaded when you install packages using apt, apt-get or aptitude package manager. autoclean: remove deb files under /var/cache/apt/archive/ directory that can no longer be downloaded from repository. package list: delete packages list information stored under /var/lib/apt/lists. Before hitting the clean button, you can click the preview button to see what files will be deleted and how much disk space will be freed. Bash is the default shell on Linux. When you open a terminal window, a bash shell is automatically started, waiting for your commands. All your typed commands in the terminal are recorded to a file stored at ~/.bash_history. Bash history allows you to use the up arrow to re-run previous commands. You can also run history command to see a list of previous commands. .DS_Store is an interesting options because it’s a special file that can only be found on Apple OS X but Bleachbit hasn’t released an OS X version. The full name is Desktop Service Store which is created by the Finder program for every folder storing custom attribute. If you check this option, BleachBit will tell you deleting this file is slow but it won’t delete any file for this option, so you can leave this one out. The “Backup files” option will delete the backup files created by applications themselves. 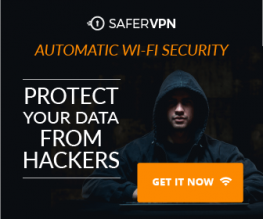 These are not your personal backup file and are safe to remove. The “Temporary files” option will delete any files with .tmp extension. Thumbnail.db is a file unique to Microsoft Windows to store the thumbnail of an image. The equivalent on Linux is the ~/.thumbnail folder which will not be deleted if you check this option. The free disk space option in System section will zero write your free disk space to hide deleted file which can take a long time. This is useful if you really don’t want anyone to recover your secret files. I hope you enjoy this tutorial about BleachBit to clean disk space. Comments, questions or suggestions are always welcome. If you found this post useful, 🙂 please share it with your friends on social media! Stay tuned for more Linux tutorials.